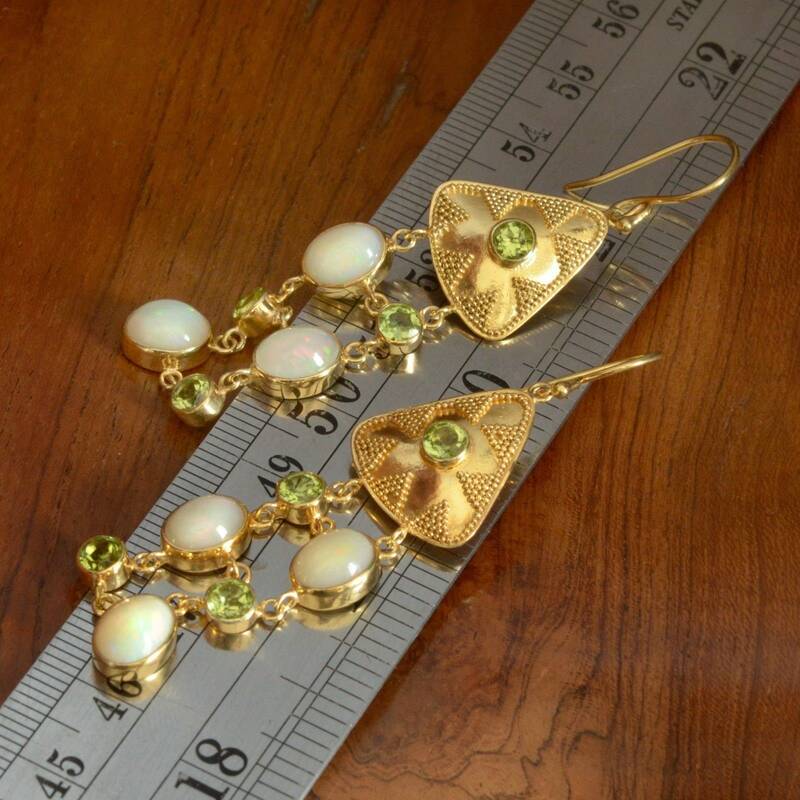 24K Gold Vermeil ~ Very thick and durable ~ 3-microns yellow Gold-plated on solid 925 Sterling Silver and hallmarked. 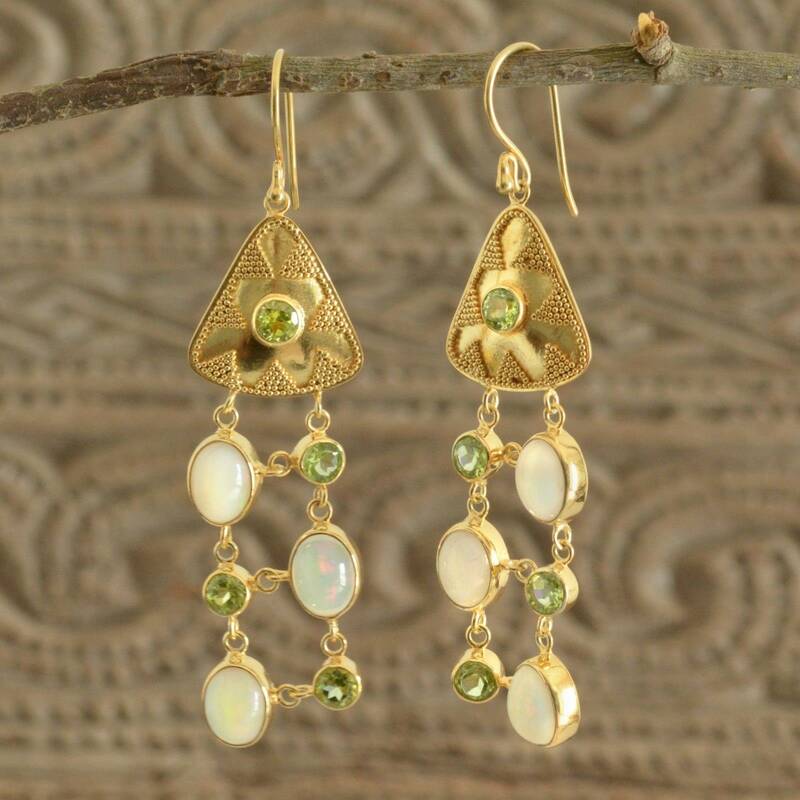 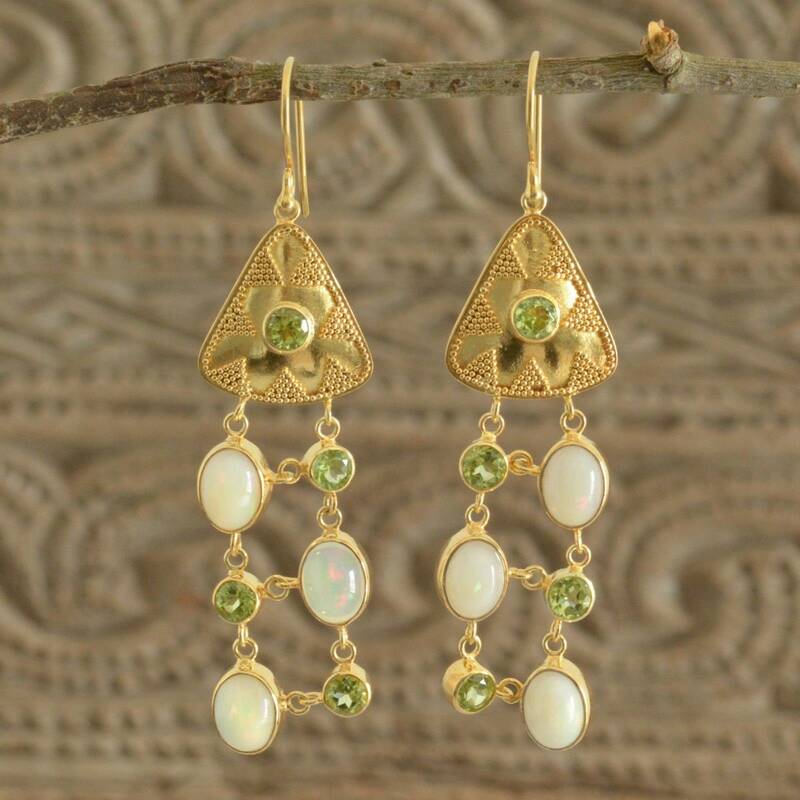 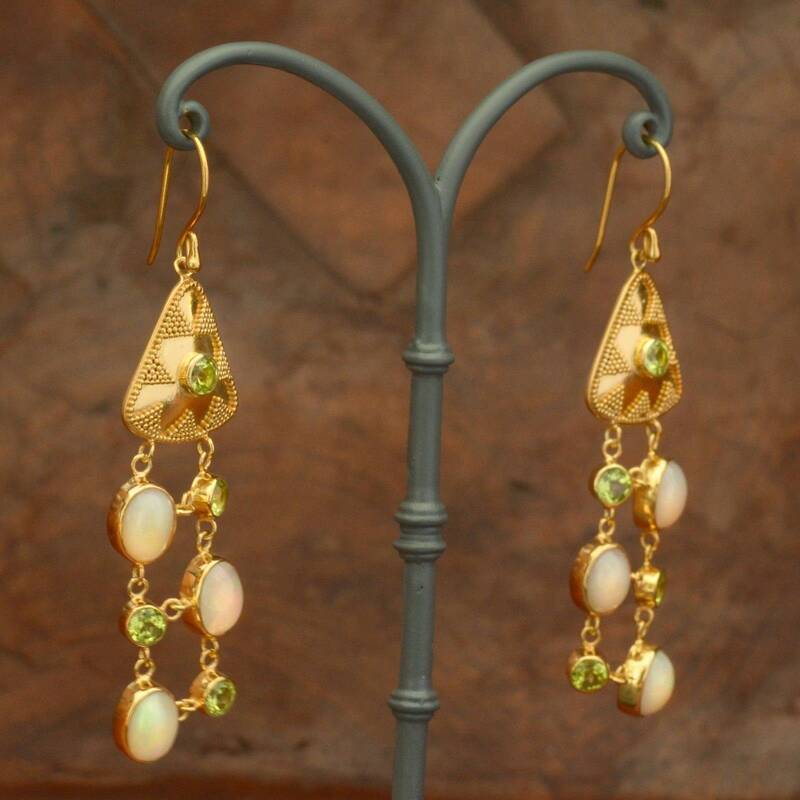 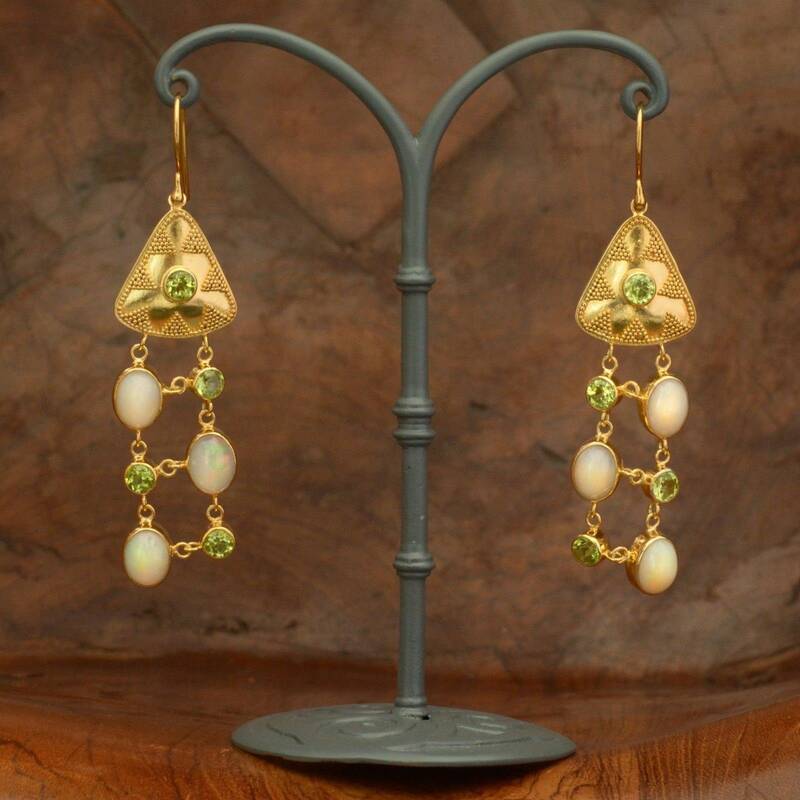 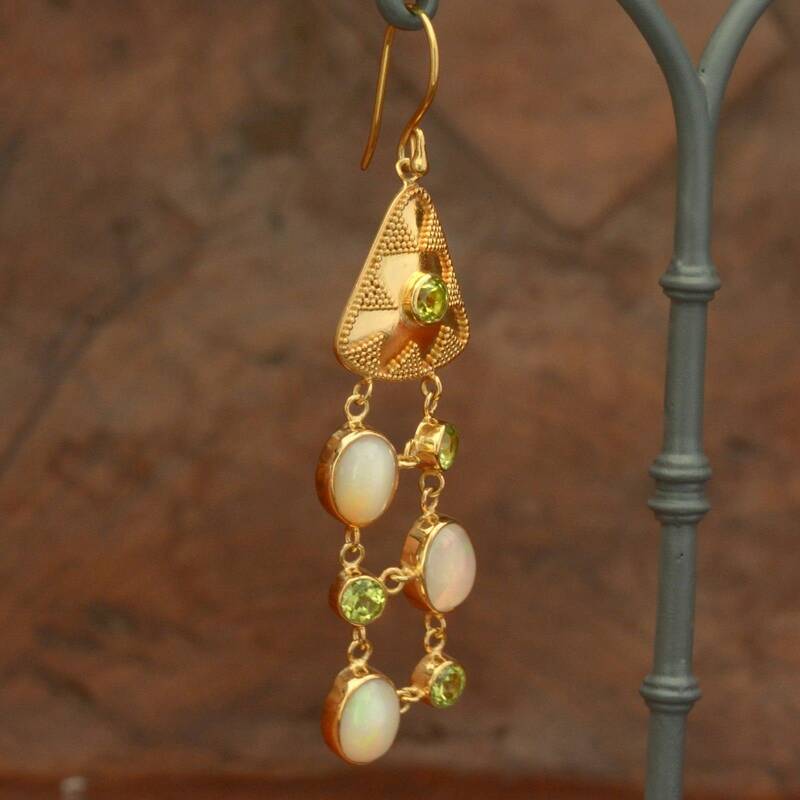 Genuine peridot gemstones and beautiful Australian white opals. 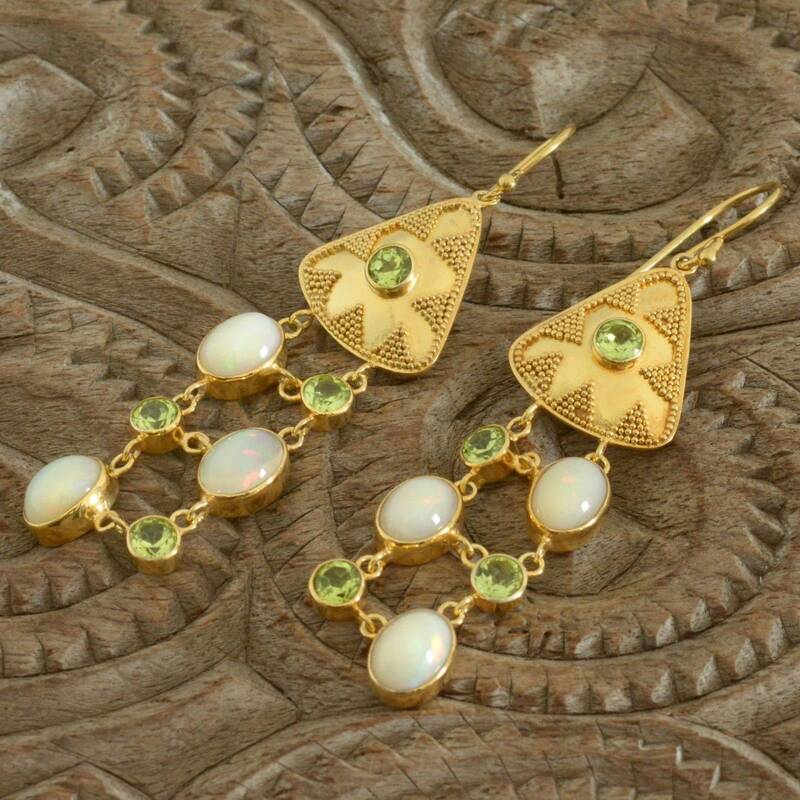 Beautiful design and top quality earrings.